Raising a child is a costly matter. As they get older, they have more and more needs that their parents need to fulfill. Some of the most expensive matters are definitely food and education. Depending on the area of where a family lives, those costs can vary. For example, families who live in a rural area are able to save some money when raising kids. Planting a garden and consuming fresh produce from the local market does not only contribute to a healthy diet, it also contributes to a better budgeting. There are many aspects that parents need to consider when raising a family. While it is easy to make some savings when it comes to purchasing clothing or finding cheaper entertainment alternatives, it is not that simple to find alternatives for medicine. Therefore, maintaining an overall great health should be a priority for all parents. When you have kids, it is recommended to cook healthy foods in the comfort of your own home. Since purchasing some of the ingredients is not always cheap, you could start a family garden. This is a fun and exciting way to save money. You don’t have to get out of your own way to build a greenhouse in your backyard, but planting a few vegetables and herbs among your flower beds does make a difference. Not only you’ll get to eat better foods and save money, you’ll also be able to keep fit with no big effort. Having fun as a family should be a priority. Spending time together teaches kids the importance of communication and it boosts their self-esteem. Instead of spending huge amounts of money on luxurious vacations, you need to plan little getaways every now and then. Make sure that neither your kids, nor your partner feel isolated. Otherwise, they might end up developing unwanted diseases due to anxiety. If any member of your family suffers from anxiety of depression, you need to have a look at dual diagnosis treatment centers in California. Learn about the treatment of co-occurring disorders and take measures before it’s too late. Everyone knows that the cost of housing is a big expense for most families. For that matter, it might be a clever idea to move into a tiny home. Over time, you’ll realize that big homes are not absolutely necessary for families. The advantages of living in a smaller home include the fact that you reduce the number of chores and items that you don’t use in your home. The idea of downsizing to a smaller home with a bigger land is a good experiment for any kind of family. You don’t always need to purchase brand new clothes when you can just get outfits as gifts from other kids. Sometimes buying secondhand clothes is a good investment, especially when it comes to small kids who only wear certain outfits a couple of times. At the same time, you need to make the most of every resource that you have in your area. A garden provides endless ways of entertainment for kids. At the same time, visiting parks, museums or beaches is just as cheap and fun. 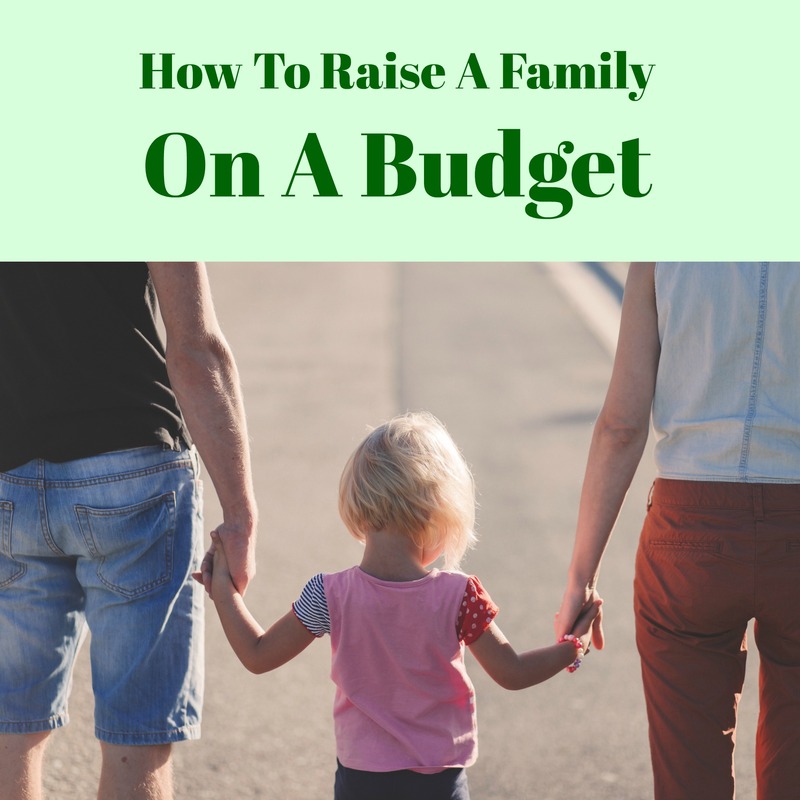 When it comes to raising a family there are certain costs that cannot be avoided, those are usually related to health. Nonetheless, everything else can be maintained with the help of these tips.